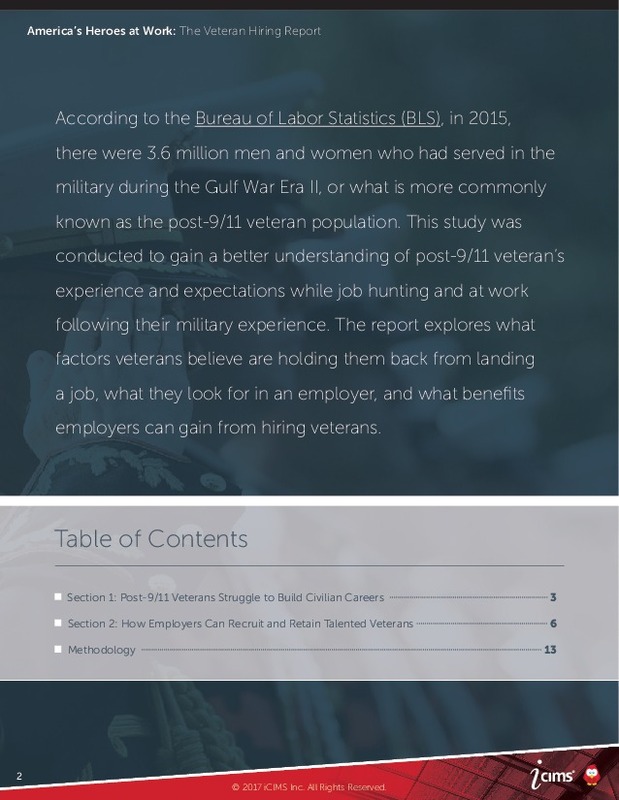 According to the Bureau of Labor Statistics (BLS), in 2015, there were 3.6 million men and women who had served in the military during the Gulf War Era II, or what is more commonly known as the post-9/11 veteran population. 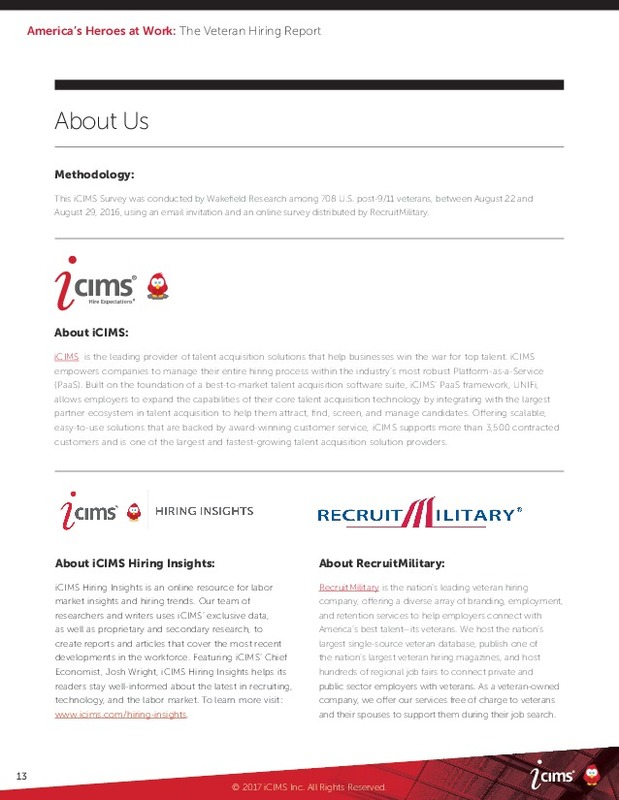 This study was conducted to gain a better understanding of post-9/11 veteran’s experience and expectations while job hunting and at work following their military experience. 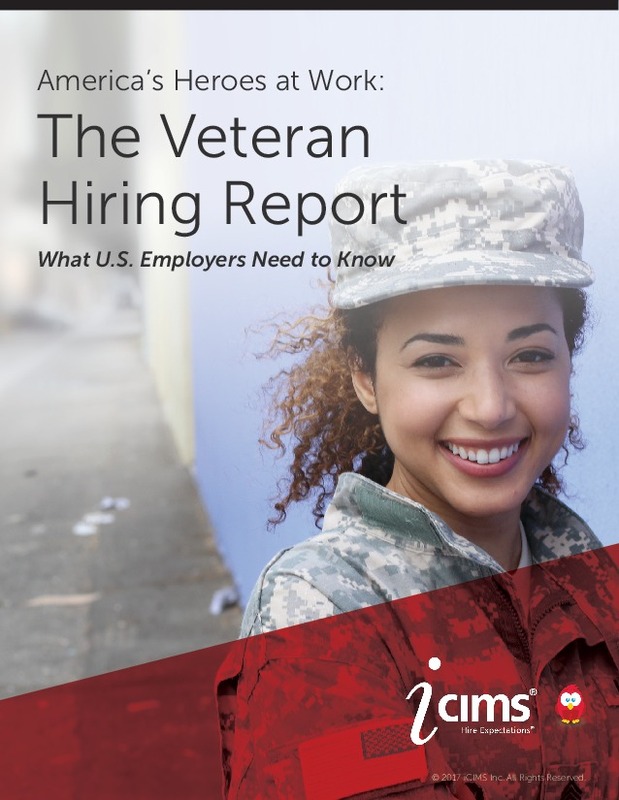 The report explores what factors veterans believe are holding them back from landing a job, what they look for in an employer, and what benefits employers can gain from hiring veterans. As reported by the BLS, as recently as March 2016, the unemployment rate for post-9/11 veterans declined 1.4 percentage points from 2014 to 2015, bringing the percentage to 5.8 percent. 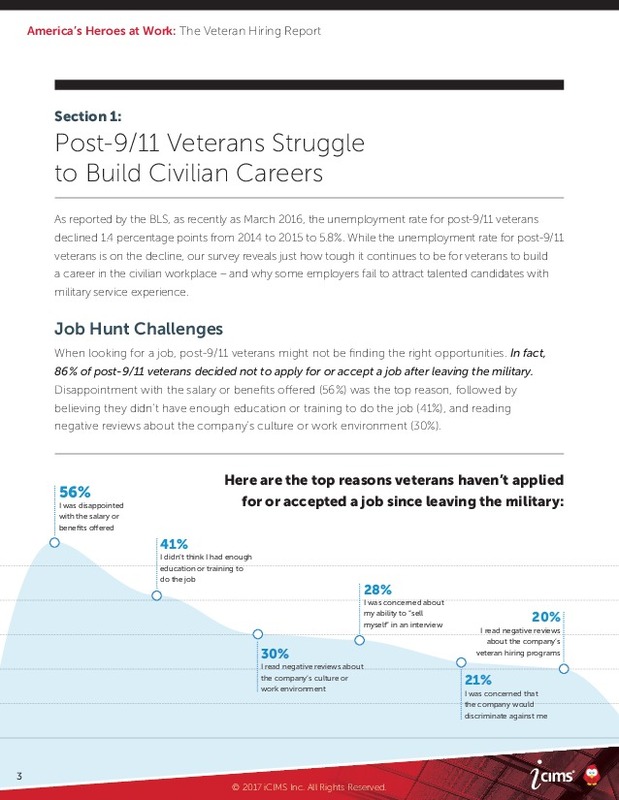 While the unemployment rate for post-9/11 veterans is on the decline, our survey reveals just how tough it continues to be for veterans to build a career in the civilian workplace—and why some employers fail to attract talented candidates with military service experience. When looking for a job, post-9/11 veterans might not be finding the right opportunities. In fact, 86 percent of post-9/11 veterans decided not to apply for or accept a job after leaving the military. 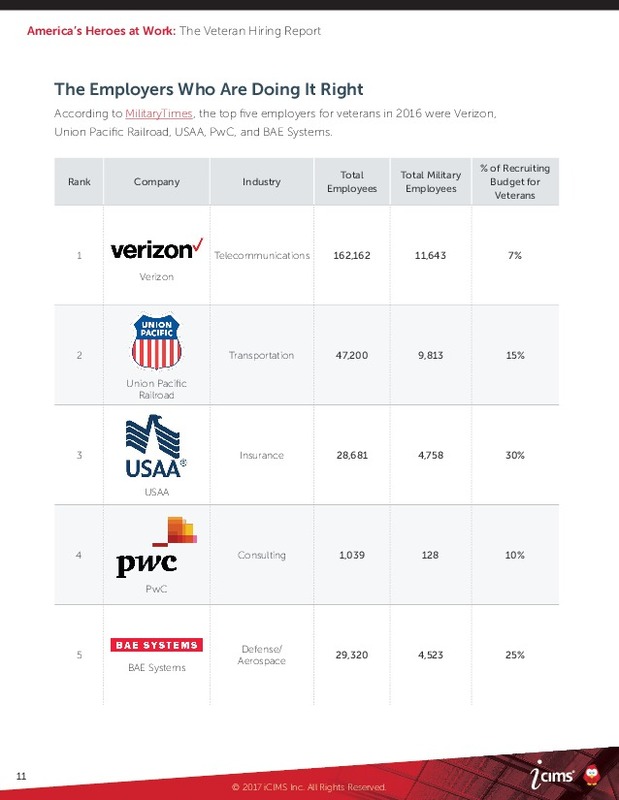 Disappointment with the salary or benefits offered (56 percent) was the top reason, followed by believing they didn’t have enough education or training to do the job (41 percent), and reading negative reviews about the company’s culture or work environment (30 percent). 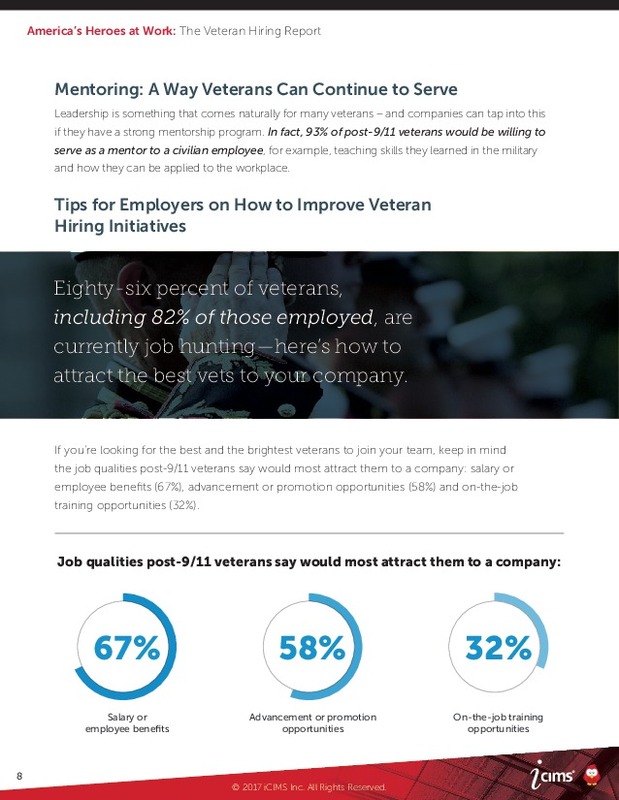 Corporate veteran hiring initiatives and programs make a difference, but here’s some discouraging news from post-9/11 veterans: 74 percent believe it would take them longer to find a job than a non-veteran with the same level of work experience. 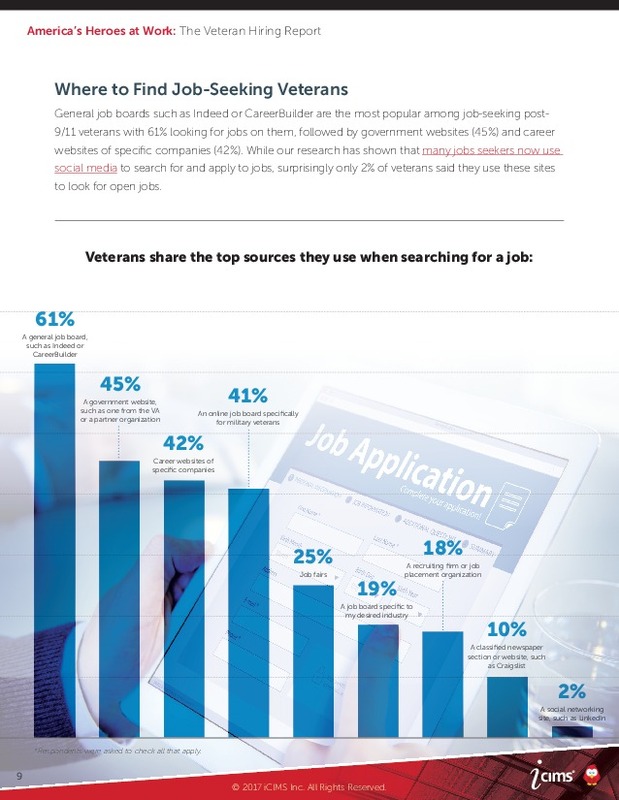 Many veterans expressed the fears and challenges they face during the job search process, including a perceived bias and skills gap. 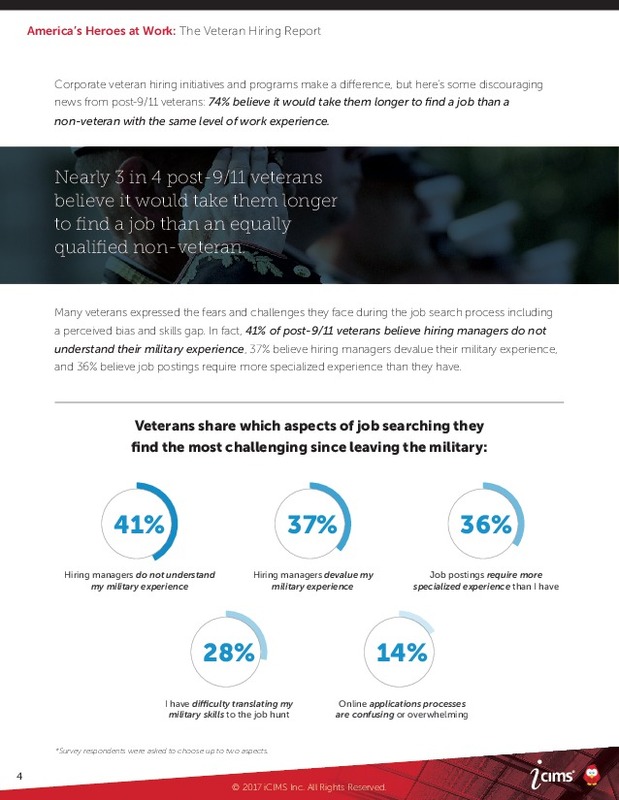 In fact, 41 percent of post-9/11 veterans believe hiring managers do not understand their military experience, 37 percent believe hiring managers devalue their military experience, and 36 percent believe job postings require more specialized experience than they have. 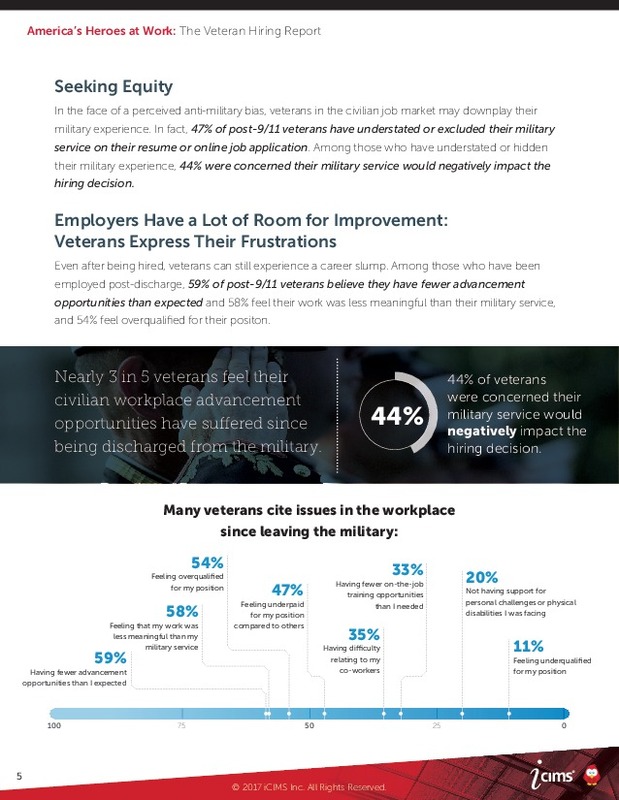 Even after being hired, veterans can still experience a career slump. 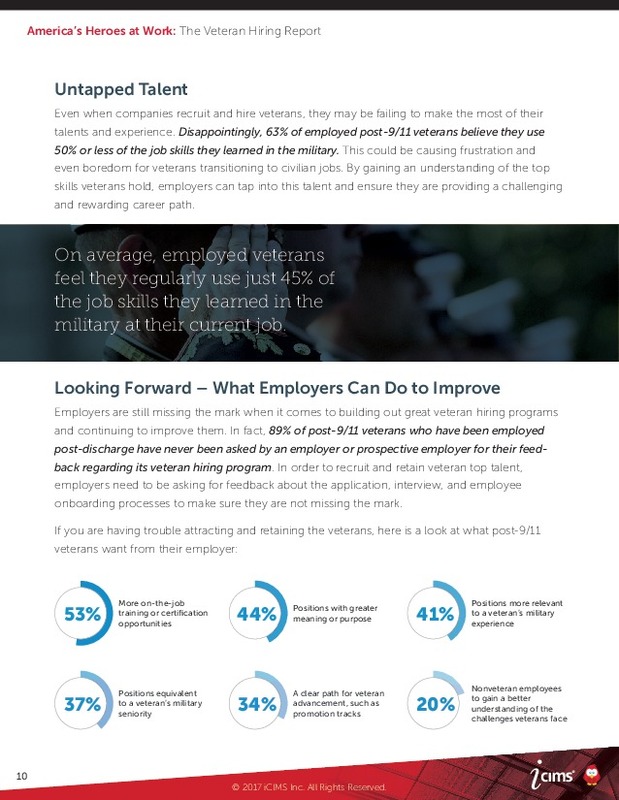 Among those who have been employed post-discharge, 59 percent of post-9/11 veterans believe they have fewer advancement opportunities than expected and 58 percent feel their work was less meaningful than their military service, and 54 percent feel overqualified for their position. 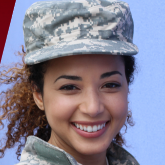 In addition to benefitting from the skills and talents military veterans can bring to a company, employers who hire veterans may qualify for incentives and tax credits from the government. 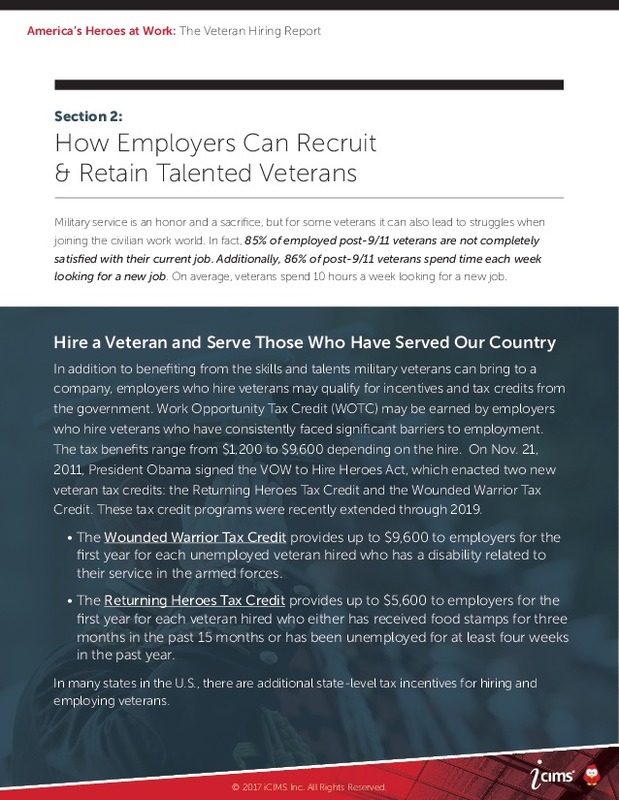 Work Opportunity Tax Credit (WOTC) may be earned by employers who hire veterans who have consistently faced barriers to employment. The tax benefits range from $1,200 to $9,600 depending on the hire. Leadership is something that comes naturally for many veterans—and companies can tap into this if they have a strong mentorship program. 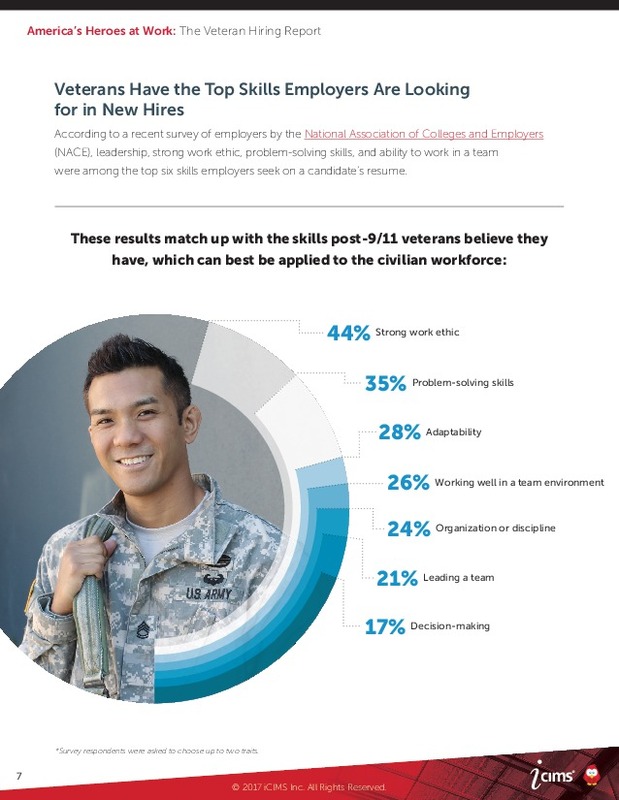 In fact, 93 percent of post-9/11 veterans would be willing to serve as a mentor to a civilian employee, for example, teaching skills they learned in the military and how they can be applied to the workplace. 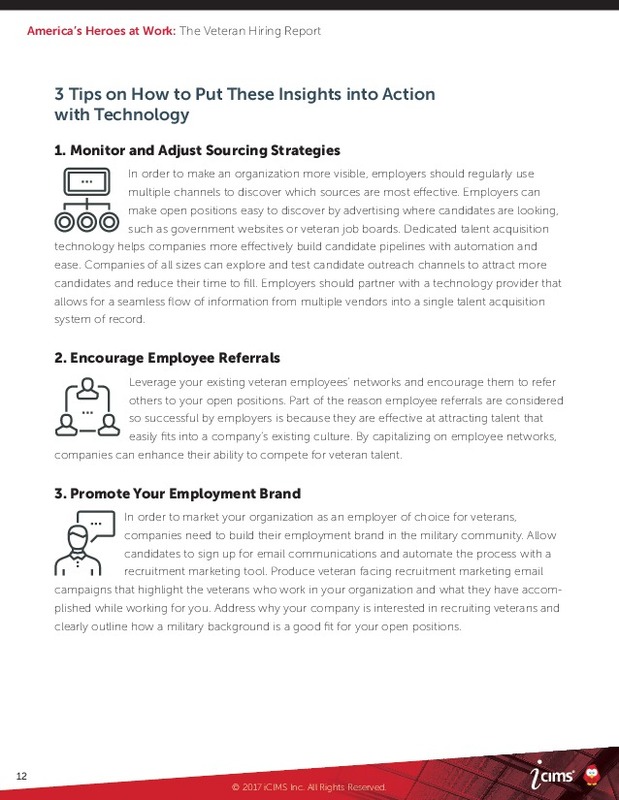 If you’re looking for the best and the brightest veterans to join your team, keep in mind the job qualities post-9/11 veterans say would most attract them to a company: salary or employee benefits (67 percent), advancement or promotion opportunities (58 percent), and on-the-job training opportunities (32 percent).